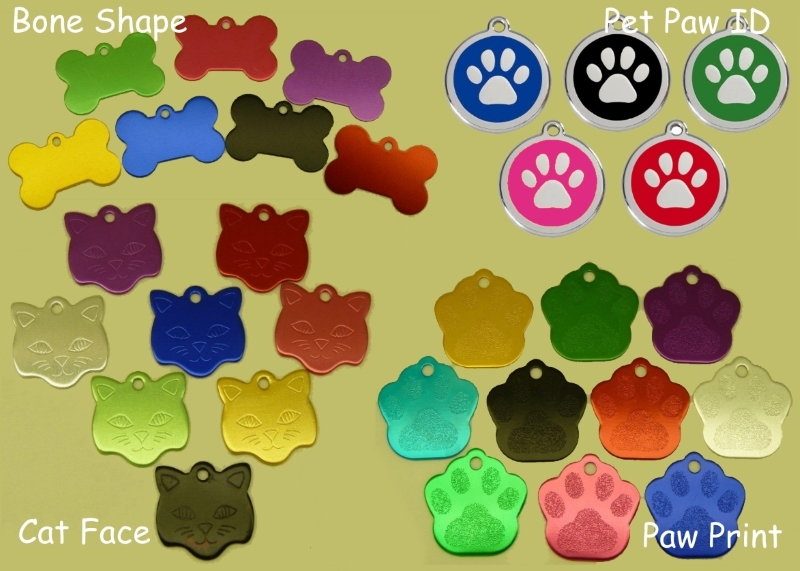 If you purchased 1, 2 or 3 Tags, please select the style and colour you require for each Tag. For example if you purchased 2 tags, fill in two sections only, Tag 1 and Tag 2. I f you bought more Tags, then fill in more sections. Above are the various tag styles and colours available. Choose your colour and style - using the picture above as a guide. Use the section below to select your first choice.